Readers weigh in on what they believe are Wichita’s best ten pies in honor of National Pizza Day – Wichita By E.B. Saturday, February 9 is National Pizza Day. I wanted to do something different so I asked the readers to weigh in and help on this blog. This was a very informal poll so before you get upset, this is nothing official. Earlier this week, I asked Wichita By E.B. readers to weigh in on their favorite three pizzas. I tabulated the results from the 400+ readers, real accounts; not someone going online to vote, clearing their cache, voting again and having all of their employees go vote too. Each vote counted as just one. Anytime some readers didn’t follow instructions (shame on you!) for example voting one restaurant three times, I counted it just as one. Out of the 1,000+ votes and with the help of excel, I was able to get the results. Over 50 different places were named that covered many restaurants, bars, gas stations, grocery stores in Wichita, Andover, Derby, and more. Some people submitted “my oven” and I had to throw those out because that was really creepy they’ve used my oven when I’m not home. Of the 54, only four places received more than hundred votes. Sixteen different places received just one vote. 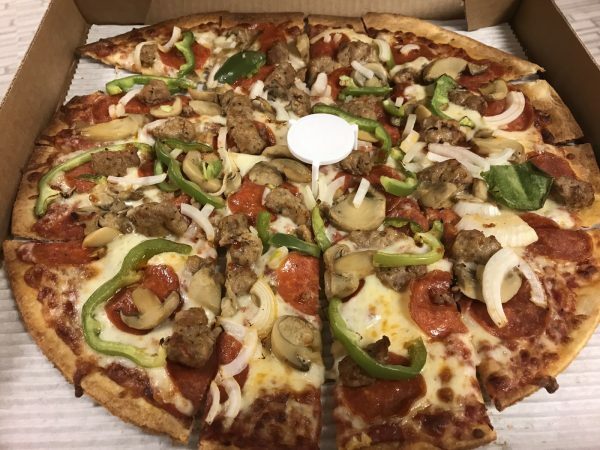 So with all of your help, here’s our first ever 2019 Unofficial “Don’t Get Pissed Off Because Your Favorite Didn’t Make The List” Readers Favorite Pizzas in Wichita List. Before we go into the top ten, I would like to make note of some of the national chains. Casey’s actually finished 11th in the voting. Old Chicago was up there as was Godfather’s. The world famous Pizza Hut finished 18. In the battle of the Derby pizza restaurants, Pizza John’s received the most votes; beating out Talliano’s and Electric Pizzeria. Now let’s get back to the final five. 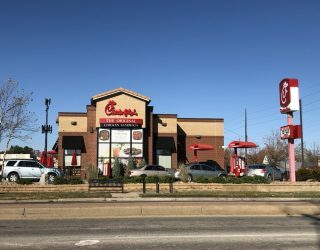 What is interesting about the top five is that they all have more than one locations. So without further ado…..
All of these votes were strictly from the readers that weighed in at the Wichita By E.B. Facebook page which I hear is a really fun page to follow. If anything it was just for fun and I was interested in seeing how everybody would respond. I can’t say I’m too surprised by how responded and don’t have a problem with any of the votes. People like what they like; I can’t hate on that. Now get out and celebrate National Pizza Day at your favorite restaurant.